Harrods single site in Knightsbridge is iconic. The store’s 330 departments offer a wide range of luxury products and services, from clothing to jewellery, personal shopping and interior design. In order to maintain our exceptional standards in store and on a global platform, we have over 5,000 employees across 20 industries. Working at Harrods isn’t just about having a job – it’s about having a career. We want to make sure our employees feel happy, supported, and are enthusiastic about our values. 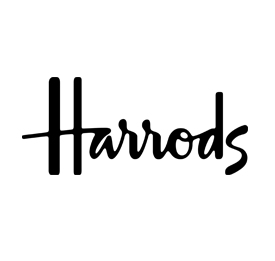 We know you are Harrods’s future and we commit all our resources to helping you grow and expand your skill-set. With frequent awards ceremonies to celebrate our most successful and long-serving employees, as well as subsidised welfare opportunities, it’s no wonder that we have been named one of Britain’s Top Employers. Find out more about Harrods and visit our careers website. Are you hungry to progress your culinary career? 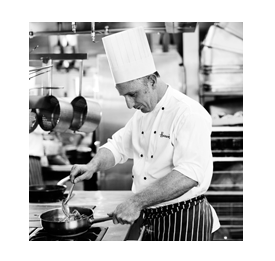 We are currently looking for a range of talented chefs to work in our leading, onsite restaurants and cafes. 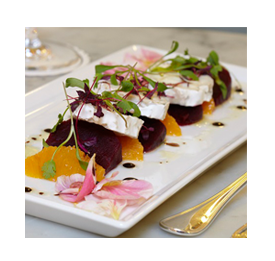 Successful candidates will have excelled in a similar role and be able to demonstrate a real passion for food, as well as an appropriate catering qualification. You'll also need to be adept at working quickly, efficiently and to the highest standards in a dynamic working atmosphere. In return for a competitive salary and an excellent range of benefits you’ll have the opportunity to learn from a team of highly skilled chefs who constantly strive to create outstanding and memorable dining experiences for all our guests. We welcome employees from all backgrounds so if you would like to apply for any of our current chefs roles, please click on the relevant job link to find out more and submit your CV.